What is a virtual card? | What is virtual debit card? | How do they work? As a business owner, you may have encountered the terms virtual credit card or virtual debit card, and you might wonder, “What is a virtual card?” A virtual credit card is not a physical, plastic card. Instead, it is a set of sixteen digits similar to a credit card number together with a CVV code that is randomly generated using software. Virtual credit card numbers can be used to make cashless B2B payments and can help to get rid of checks. However, the Mercator Advisory Group reports that many businesses have stubbornly held on to commercial checks while consumers’ use of checks has steadily declined. In 2016, businesses reported that they made 50 percent of their payments by check. By contrast, consumers only made 13.4 percent of their payments by check. A virtual credit card is a set of 16 digits that are randomly generated together with a CVV code that can be used to make purchases of goods and services remotely. Charges can be made with the card numbers online or by telephone, but they cannot be made in person. When a card number is generated, the charges are routed to the original credit card number. However, the virtual number cannot be traced back to the original card, and it will not work after the purchase. 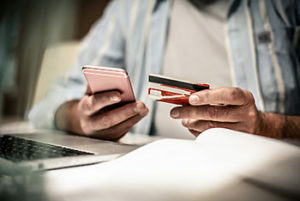 Like credit cards, purchases made with virtual credit cards are added to the revolving lines of credit of the underlying cards and may be charged interest. A virtual debit card is similar, but the randomly generated number is linked to an underlying debit account instead of a credit card. The virtual numbers can be used to make purchases remotely, but it cannot be used to make in-person purchases. When charges are made using the virtual debit card number, the purchases are routed to the linked account and are subtracted from the balance. However, people are not able to trace the number back to the originating account or to access money by using the number. What is a virtual card used for payments? Virtual payments are payments that are made online or over the telephone without exchanging cash or paying by check. These payments are made using the generated numbers in a secure manner. When payments are made virtually, hackers who steal the generated numbers will not be able to use them. The numbers will not work after they have been used by you to make the payment, and they won’t work to allow access to your accounts or to be traced back to your company. Virtual payments can help to reduce invoices and speed up the payment process so that goodwill is built between you and your suppliers. Who uses virtual cards? Why are they used? Virtual credit and debit cards are becoming increasingly common among consumers, and businesses are now starting to catch up. They are used to make purchases remotely and to prevent fraud. Since the numbers are essentially throwaway numbers, they are useless to thieves. When you choose to use virtual numbers to make purchases online or over the phone, you can eliminate the potential for online fraud. Your employees also will not be able to use the numbers to make purchases that you have not authorized. Should you use virtual cards for your business? According to Forbes, using virtual credit or debit cards at your business can help you to eliminate the need to draft checks. In addition to preventing fraud, using virtual payment methods can also help you to save time and money. You can restrict what can be purchased with the virtual numbers that you generate. You can also save the transaction costs that might otherwise be involved with requisition forms, purchase orders, invoice processing, and checks. Using virtual credit and debit cards can help to streamline both your payments and your expense management. Where can I use a virtual card? Since virtual credit and debit cards are not plastic, they can only be used to make purchases online or via telephone. You cannot take a virtual number to a brick-and-mortar retailer and make charges with it. Virtual numbers can be used online or over the telephone to make purchases from companies that accept major credit cards, including Visa, Discover, Mastercard, or American Express. Once they are used, they either automatically expire. You can also choose to set an expiration date to allow purchases for a couple of days and restrict their use to particular merchants or suppliers. How can I add more money to my virtual card? To fund a virtual credit or debit card, you decide how much money to allocate to it from your deposit account or the credit card from which it is originated. The funds are transferred electronically to the number in the amount that you choose. When you see that your balance is low on your virtual credit or debit card, you can reload it with more funds by an electronic transfer from your bank account. There is no need for you to make a withdrawal of cash from your account to reload your cards. Are virtual cards one-time use only? In most cases, virtual credit or debit card numbers may be used only once. Once they have been generated, they may expire after a specific amount of time if they are not used. Once the number is used to make a purchase, any balance that remains is credited back to your originating account. The cards are nearly impossible to clone. In some cases, you can choose to generate virtual numbers to use for a series of transactions before they are turned off. How easy are virtual cards to use? 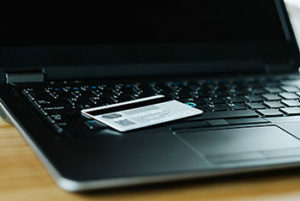 To use a virtual credit or debit card number, you use software that you install on your computer that is provided by your card issuer. You can generate as many random numbers that you need in a matter of minutes. The cards allow you to assign spending limits by the day or week. Once you have generated your numbers and have distributed them to your employees, your employees can use them to make payments to suppliers or vendors online or over the telephone. The numbers can be charged in the same way that credit or debit cards can be charged, and the purchases are routed automatically through your underlying account or your credit card’s revolving credit line. Where can I buy a virtual card? Virtual credit and debit cards may be provided to you as a convenience from your business card issuer or bank. It is a good idea for you to research the various offers from business card issuers and banks to find the offers that provide you with the greatest expense management tools. 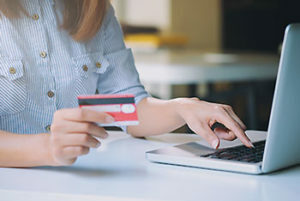 You can read online reviews and credit card articles about different card issuing companies and look for those that offer virtual debit or credit card software together with strong business-friendly features for their underlying accounts and cards. This can help you to enjoy more benefits in all of your purchasing and payment processes. How safe are virtual cards? Since virtual numbers cannot be traced back to your account or credit card, they are much safer to use when you are buying products or making payments online or to an unfamiliar vendor or supplier. The entities that you pay will not be able to charge more than you have authorized or to use the numbers to run up illicit charges on your account. These numbers give you an additional layer of security when you make purchases. If you generate numbers and forget to use them, there is a small risk that someone could steal the number and use it before it expires. The key to understanding what is a virtual card is to remember that they are not plastic. While they are referred to as cards, they are simply random numbers that are linked to your existing credit card or bank account. The numbers can’t be used by your employees to make purchases in person, and you can limit them to single purchases from specific suppliers or merchants. Some businesses assign a virtual number to a supplier to make a purchase and turn it off when the purchase is made. The number might be turned on again when it is time to make a new payment or purchase from the same supplier. All of the systems that your company has in place for managing employee expenses is called your expense management system. This may include your expense policies, virtual credit or debit cards, tracking systems, and other tools that you use. Bento for Business offers virtual solutions for businesses with extensive controls. Bento for business Visa debit cards offer virtual numbers, so your credit will not be checked when you get them. You can decide where each number can be used and how much each employee can spend. For example, if you pay a monthly equipment lease for your office copier, you can assign a virtual number to the leasing company for the monthly payment amount. Once the payment is made, the number can be instantly shut off. You can choose to turn it back on when the next payment is due or simply generate a new number. When you want to streamline your payments, get rid of commercial checks, and eliminate the access of your employees to your money, the virtual solutions from Bento for Business may be your top choice. You can order up to two Bento for Business Visa debit cards for free. If you need more, you can get up to 10 for $29 per month. Bento also offers a virtual API that allows you to instantly generate as many numbers as you need for secure payments. Deposits that are held by Bento are insured by the FDIC for up to $250,000 through the Bancorp Bank; Member FDIC. You can try out the cards for up to 60 days for free. Call 866.220.8455 to learn more about the card solutions from Bento.